I get asked regularly which is my favourite coffee pod machine; Nespresso, Caffitaly or Aldi (aka Expressi / K-fee)? It’s a hard question to answer because they all have benefits and pitfalls, but below I’ll go into why I like the Nespresso coffee machine and at the end I’ll link to other pages where I do the same for Caffitaly and Aldi. 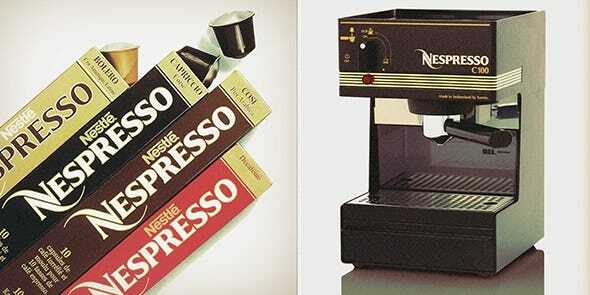 The original and some say the best, Nespresso coffee machines have been around since the 1980’s. A little known fact is that Nespresso almost gave up on the coffee pod machine business multiple times as drinking coffee from a pod was very much frowned upon back then and many weren’t interested in the product. Then Nespresso smartened up and made George Clooney the face of their brand – what a dreamboat. Do I have a man crush on George Clooney? Yes I do… Not as much as Channing Tatum, but that’s beside the point. Anyway, Nespresso does an amazing job at turning 5 grams of ground coffee into an almost café quality beverage (cafes typically use twice as much coffee per cup). Caffitaly and K-fee may be a lower quality machines compared to Nespresso (in my opinion), but their pods hold 50% more ground coffee (typically 7-8g) so they still produce coffee on par with Nespresso (again, in my opinion – I don’t want to hear from anyone’s lawyers about this!). So they all produce great cups of coffee, but Nespresso does it using less coffee which is a win in my view. We have a growing population globally and coffee cultivation can’t keep up. It may not be an issue right now, but it will become a big issue in the future. Coffee will one day become a luxury indulgence which only the rich can afford, so the less coffee we use per cup the better for everyone. This has so many other environmental implications as well (i.e. the less coffee used per cup means less fuel guzzling container ships traveling to world etc), but that’s a rabbit hole I’ll save for another time. Speaking of rabbit holes, here’s one which is a negative for Nespresso coffee machines – they are owned by Nestle which is one of the largest and most hated companies in the world. 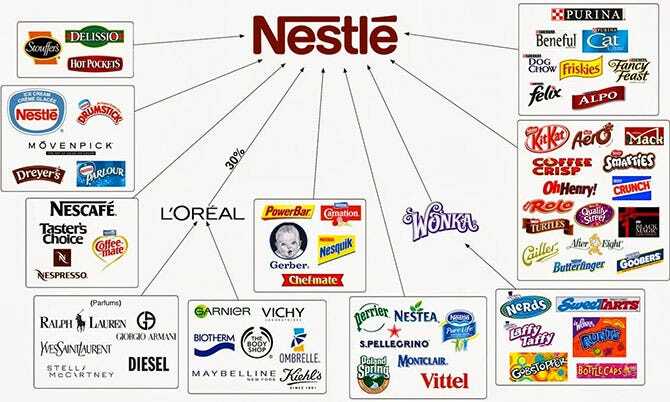 In my opinion there is good reason for this as Nestle have been linked to child labour, unethical promotion, manipulating uneducated mothers, pollution, price fixing and mislabelling. If you want to venture down this rabbit hole, just start Googling. Everyone knows that Nespresso coffee pods are made from aluminium, but is that a good or a bad thing? If the pods are recycled, it’s a good-ish thing. Recycling aluminium requires only five percent of the energy required to manufacture new aluminium from bauxite. However, recycling aluminium produces many toxic chemicals that are released into the air. 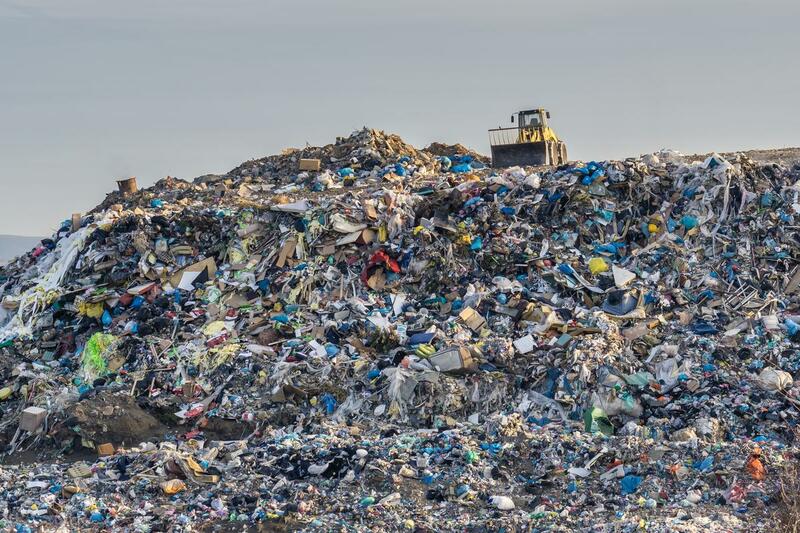 Furthermore, recycling aluminium produces a waste product called "dross" that is highly toxic and has to be buried in landfills. This dross must be tightly sealed in containers so that it doesn’t leak out and enter groundwater. As I always say, there is rarely a perfect environmental solution for any product in today’s world of convenience, the best we can hope for is to minimise our impact unless we go off grid and generate our own electricity (which I plan on doing by the way, once I retire). So if all Nespresso pods were recycled I’d put them into this ‘it’s not perfect, but it’s pretty good in today’s world’ category. The problem is that not all Nespresso pods are recycled. In fact, only a fraction of these coffee pods are recycled. Nespresso won’t say how many of its pods get recycled, which is a massive red flag (if it was a positive number they would share it, right?). When not recycled, aluminium can take 500 years to breakdown in landfill which is terrible. Once Nespresso compatible pods became available, Nespresso quickly ramped up their legal department and started suing the suppliers of these pods. This went on for a few years primarily between 2011 and 2015, after which they realised it was a losing battle. Instead, Nespresso resorted to scare tactics with their customer support team telling customers that Nespresso compatible pods can “melt”, “explode” and will void the Nespresso coffee machine warranty, all of which is greatly exaggerated. I have personally researched hundreds of different Nespresso compatible pods and all have been made out of food grade material, built to withstand very high temperatures (much higher than the Nespresso coffee machine boiling water temperature which is 90°C-100°C). Some Nespresso compatible pods do occasionally malfunction as they may not be pierced properly during extraction which can cause the pod to deform due to the pressure build up which will also cause excess steam to exit the pod slot as the handle is opened (I believe this is what they are referring to when the say “explode” – hardly an explosion), but I have had the exact same thing happen with a genuine Nespresso pod in the past. Nothing is perfect and everything malfunctions occasionally, whether it’s genuine or compatible. As for the Nespresso coffee machine warranty, legally Nespresso’s bark is worse than it’s bite. They cannot simply void a warranty for using Nespresso compatible pods with Nespresso coffee machines, in the same way a car manufacturer can no longer void a warranty if you have your car serviced by someone other than their authorised service centre. If a Nespresso coffee machine breaks down and you are using Nespresso compatible pods, but the pods had nothing to do with the break down than Nespresso must honour their warranty. The only way they can void a warranty is if they are able to prove that a Nespresso compatible pod caused the break down. This is highly unlikely but if this does happen, than a reputable Nespresso compatible pod supplier should then honour Nespresso’s warranty and replace the machine, which is what we would do. For Nespresso pods online is the easiest way to buy, as they only have a limited number of stores around Australia. The fact that Nespresso sold their machines via retailers like The Good Guys, Harvey Norman, Myer, David Jones etc but not their pods, really left the door open for Nespresso compatible pods as many customers wanted to buy a machine and pods at the same time to take home with them. This is how I was able to build my business, by first selling Nespresso compatible pods to these retailers – thanks Nespresso! Best coffee pods for Nespresso machine include ours of course (Urban Brew - click here to shop), Republica Organic, Pod & Parcel, Oxfam, PODiSTA and Baileys coffee pods. Some of these are compostable, some are biodegradable, but all are at the very least recyclable. LOR and Moccona are probably two of the most popular brands of pods in the supermarkets, but both of these are made of aluminium just like Nespresso. So what is my favourite coffee pod machine? For me it’s the Nespresso coffee machine, but used with an eco-friendly pod. This is primary because it gives a great cup of coffee using half the amount of coffee compared to the other machines. When I think of each cup of coffee holistically (cultivation, transport, roasting, processing, brewing) I truly believe using the least amount of coffee per cup (without it taking away from the taste of course) is best for the environment and will keep costs down for everyone long term. Reviews of Caffitaly and Aldi (aka Expressi / K-fee) coming soon.